Adzuki beans scientifically known as Vigna angularis is actually an annual herb in the genus Vigna Savi. Adzuki Beans more commonly known as Adanka Bean, Azuki Bean, Cultivated Azuki, Chinese Red Bean, Greater Red Bean, Red Gram, are Smooth, hard, white, and slightly shiny members of the family, Fabaceae ⁄ Leguminosae. Adzuki beans are one of the ancient cultivated crops originally grown in East Asia, and are most extensive in Japan, China, and Korea. Adzuki beans can be found in different varieties which include Dainagon Minoka, Bloodwood, Hikari, Erimo, and Takara. Adzuki beans, like fava beans, are dark red-reddish brown, with a white ridge on the side legumes that come in their own “pod.” Seed is sub-cylindric with sub-truncate ends with a length of 5–9 mm, width of 4–6 mm, approximately 5 mm in diameter. Adzuki beans have a distinct strong, nutty, sweet flavor which makes them an excellent addition to a wide variety of dishes. Adzuki beans is an annual herb usually erect, twining or bushy plant 30 to 60 cm (1 to 2 feet) tall along with tap root and lateral roots with many nodules. It is found growing in neutral soil which is well drained and loose and rich in organic matter. 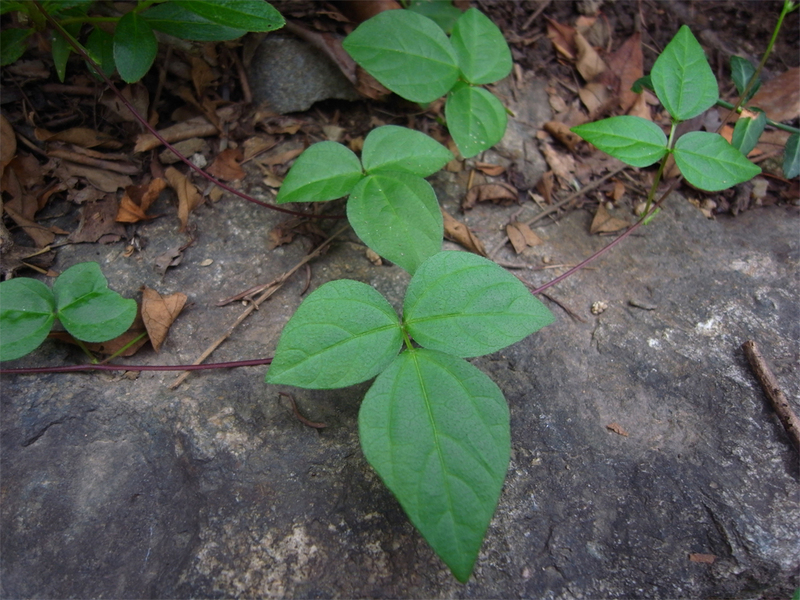 It has green or purplish tinged pilose, angular stem and branches. Adzuki bean plant has trifoliolate leaves; leaflets are ovate or rhomboid-ovate, 5–10 × 5–8 cm, sparsely pilose on both surfaces. Generally flowers are axillary and racemose, have campanulate calyx, 3–4 mm, five pale yellow petals, 15 mm. Adzuki bean’s origin from a wild species is mysterious but its center of origin has been proposed as within eastern Asia, quite possibly in China. Adzuki beans are widely cultivated in Yangtse River valley of China. Later its use spread to Philippines New Zealand, Thailand and number of other nations around the world. Today the main country which has high production of Adzuki beans includes Japan, China, Taiwan and South Korea. 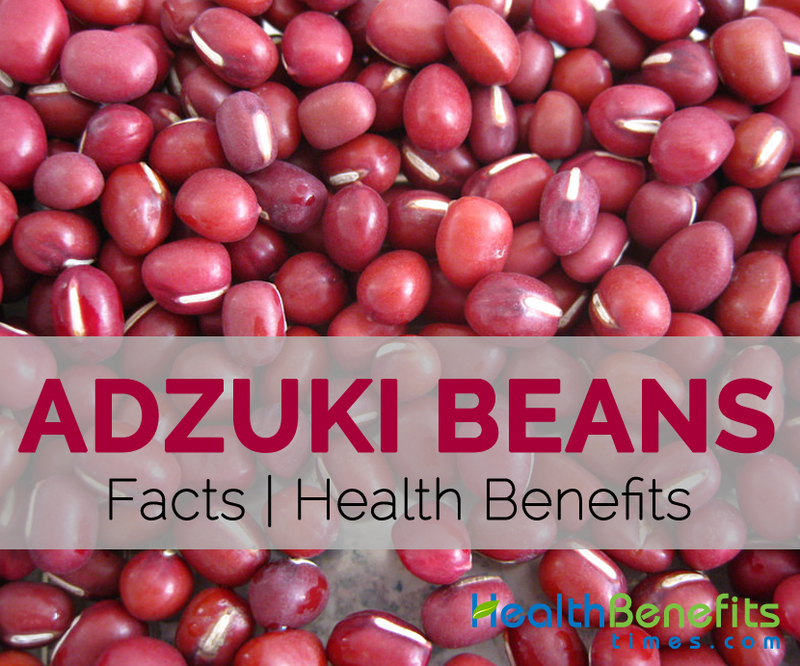 Apart from their taste, Adzuki bean is a good source of nutrients, minerals and vitamins. 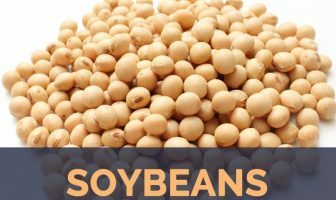 Consuming 230 gram of this bean supplies 0.685mg of Copper, 278 µg of Vitamin B9, 4.6 mg of Iron, 1.318 mg of Manganese, 386mg of Phosphorus, 16.8g of Total dietary fiber, 56.97g of Carbohydrates, 4.07mg of Zinc and 17.3g of proteins. Moreover many Amino acids like 0.89g of Valine, 0.69g of Isoleucine, 1.454g of Leucine, 1.304g of Lysine, 0.166g of Tryptophan and 0.455g of histidine are also found in 230 gram of this bean. Adzuki beans are packed with dietary fiber which is an extremely beneficial compound in our body. Simply by including sufficient quantities of fiber in our diets, we can ease many digestive related problems such as hemorrhoids, constipation, ulcers and acid flux diseases. Normally these problems range from mild irritants to the life threatening situations, good quantity of fiber is a main element for the prevention of such situations. In a normal serving of Adzuki beans, which is 16.8 grams, we can gain 44.21% of the daily recommended amount of fiber. Adzuki beans are one of the most important vegetables to help keep stomach functioning effectively. Brain is one of the most important parts of the human body so proper development of the brain is very essential. Iron present in Adzuki beans plays an important role in the proper development of the brain. Iron assist to supply oxygen in the blood and brain only uses about 20% of the blood oxygen; therefore iron is directly related with brain health and its other functions. Cognitive activity is stimulated with the proper flow of blood in the brain and assists to create new neural pathways to avoid cognitive disorders such as Alzheimer’s disease and dementia, therefore Adzuki bean consumption is essential for the proper functioning of the brain. Adzuki beans contains 4.6 g Iron which is 57.50% of daily recommended value. Manganese which is present adequately in Adzuki beans is vital traces mineral required for many vital functions, including nutrient absorption, reduce PMS Symptoms and immune-system defenses. Consuming sufficient amount of Adzuki beans regularly can help to improve different symptoms of PMS like muscle pain, anxiety, trouble sleeping, tenderness and mood swings. Research discovered that those women who have lower level of manganese within their blood may experience more pain and other mood related problems during Pre-menstruation. A single cup serving of Adzuki beans (230 g) has 57.30% of the daily required intake. Adzuki bean is loaded with important minerals and vitamins along with impressive amount of Phosphorus, Magnesium, Zinc, Manganese, which are essential for the proper development of our body. They perform an important role in teeth and bone health. All these minerals are required for the proper functioning of the bones as well as encourage the remineralization of the teeth and the bones and keep them strong. Consuming Adzuki beans on a regular basis can be a long term solutions for osteoporosis, tooth decay, gum problems as well as other bones related problems that may occur as we age. Adzuki beans contain 386mg of phosphorus which is 55.14% of daily recommended value. Folate, or vitamin B9, is one of many essential vitamins required for the body for proper functioning of the body. 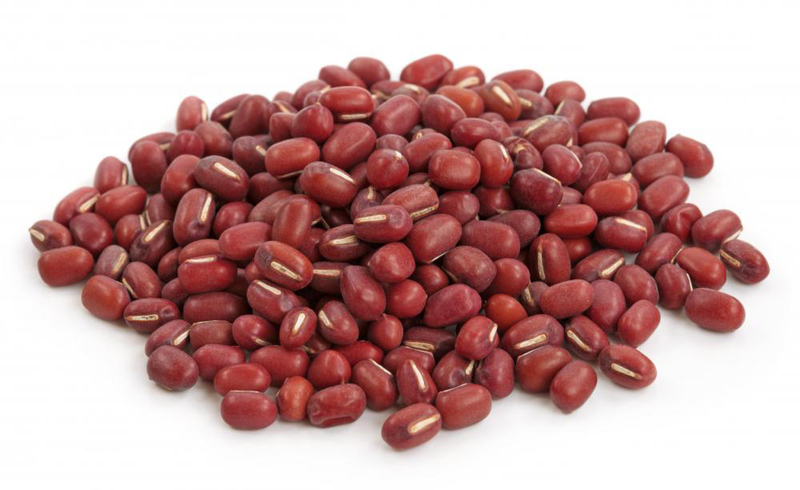 Consuming Adzuki beans help heart to stay healthy and function optimally, since it contains 278 µg of Vitamin B9 (Folate, Folic Acid) which is 69.50% of daily recommended value. Folate deficit may result in increased risk of coronary complications, heart disease, and strokes in patients. In the U.S. research, bread and cereal companies were asked to include vitamin B12 to their products, the rate of heart disease and stroke was reduced by about 15%. Adzuki beans also helps remove homocysteine, a lethal compound which can result in severe artery damage if not removed from the blood. Consuming protein rich food such as Adzuki beans motivates an increase in muscle protein synthesis as well as suppresses protein breakdown for many hours so that end up with more lean tissues. Because of the availability of the amino acids, the body is continually in a fluctuating state of muscle loss and gain. Many Research show that people who consume more protein have more lean muscle mass, so Adzuki beans intake is most important since it contains 17.3 gram of protein which is 34.60% of the daily recommended value for the body. To Control body weight certain carbohydrates must be eliminated or avoided, but including plant based carbohydrates is an integral part of weight loss. Adzuki beans are one of the plant based vegetable which contains 56.97 gm. of carbohydrates which is 43.82% of the recommended value. Including adzuki beans in our normal diet can help to control our body weight. Carbohydrates in the form of raw as well as cooked vegetable make a huge portion of what we eat on a low-carb fat loss diet since these foods consists of minimal calorie and plenty of water and fiber which goes undigested. The effect of diet with vegetable carbohydrate is that they lead people consume few calorie, yet getting more nutrition per calorie, and the fiber helps to keep them full. Research shows that greater fiber meals decrease calorie intake in the next meal which will help to control body weight. Soups: Adzuki Seeds are used as pulse, cooked whole or even made into a meal used in soups, confections or cakes. Sekihan: “sekihan” and “azuki-gayu” are made using Adzuki beans during traditional ceremony and celebrations in Japan. Coffee: Adzuki Beans are roasted and utilized as coffee substitute or eaten candied. Flour: Flour is also made from Azuki. Confectionary products: Azuki beans are cooked along with a sweetener and made into candied whole beans, sweet soups, as well as several confectionary products. White ann: In specialty Japanese bakery products a white seeded azuki is also used to make high quality white ann. Eight Precious Puddings: Azuki beans are cooked along with rice to make a richer food staple and the bean paste is utilized for pastries such as the “Eight Precious Pudding” in China. Dessert: The beans are cooked with rice and sweetened along with palm sugar to make a sweet broth served as dessert in Malaysia and Singapore. Ice dessert: Beans are the main component in the ice dessert called ‘Ice Kacang’ in Malaysia and Singapore. When commonly cooked with rice, their bright red color tinting the rice an attractive pink. Azuki bean sprouts can be consumed raw or cooked as vegetables. Young pods are also wonderful vegetable, eaten like snow peas. To heal constipation, threatened miscarriage, kidney ailments, retained placenta, abscesses and non-secretion of milk, the Adzuki beans are used in traditional medicine In China. Fever is alleviated using the leaves of Adzuki beans. The sprouts are mainly used to prevent threatened abortion. In Chinese traditional medicine adzuki beans are supposed to be a warming food which helps support bladder, kidney as well as reproductive function. The Flour of Adzuki bean has been utilized for making facial cream as well as shampoos. Consuming adzuki Beans for a long time is not advisable it might make people lean and tan, and result in the buildup of dry feces. It needs to be avoided by the Yin deficiency along with no damp-heat and by persons bitten by snakes within one hundred days. Vigna sinensis (L.) Savi ex Hassk. Vigna sinensis (L.) Savi ex Hausskn. 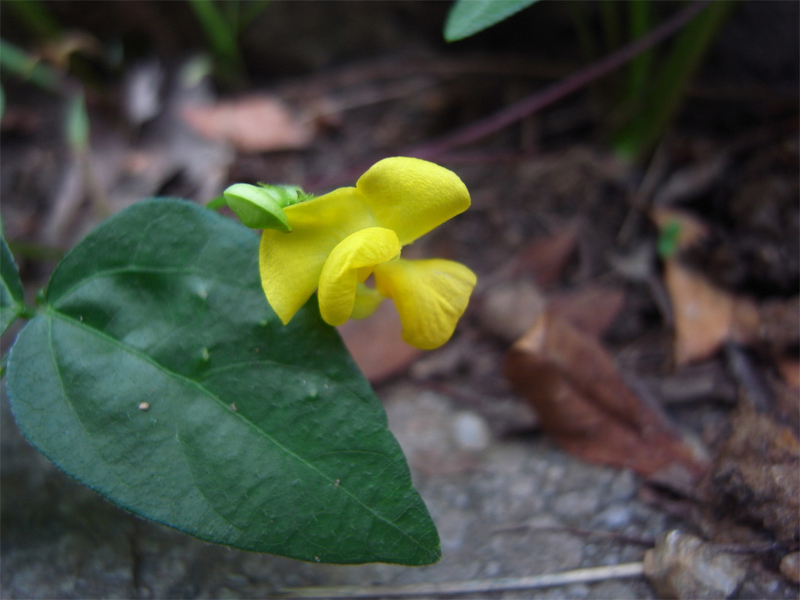 Vigna sinensis var. catiang sensu Chiov. Vigna sinensis var. spontanea Schweinf. Calories 294 Kcal./cup Kcal. Calories from Fat 2.07 Kcal. *Percent Daily values (%DVs) are based on 2,000 calorie diet intake. Daily values (DVs) may be difference depending upon the daily calorie needs.